Do you know that dollar stores are a good source for items on a budget? A lot of items you find may not be high-quality, but they are not supposed to be. You can easily use a lot of items to create a variety of storage solutions. All you need to do is review some dollar store organizing ideas. 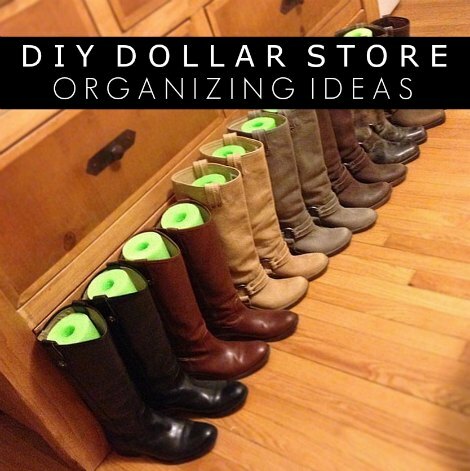 There are a lot of dollar store organizing ideas that are ingenious. You can easily use items that are left over from last year or no longer being used as material for a DIY project. Things that you make can be used in any room in your home. Items that are made of plastic are perfect for a lot of dollar store organizing ideas. Baskets can be used to make a shelving unit or a drawer system for your laundry room. This means you can spend less than $10 to purchase materials to do many DIY projects.